A new record cover I created is released today! 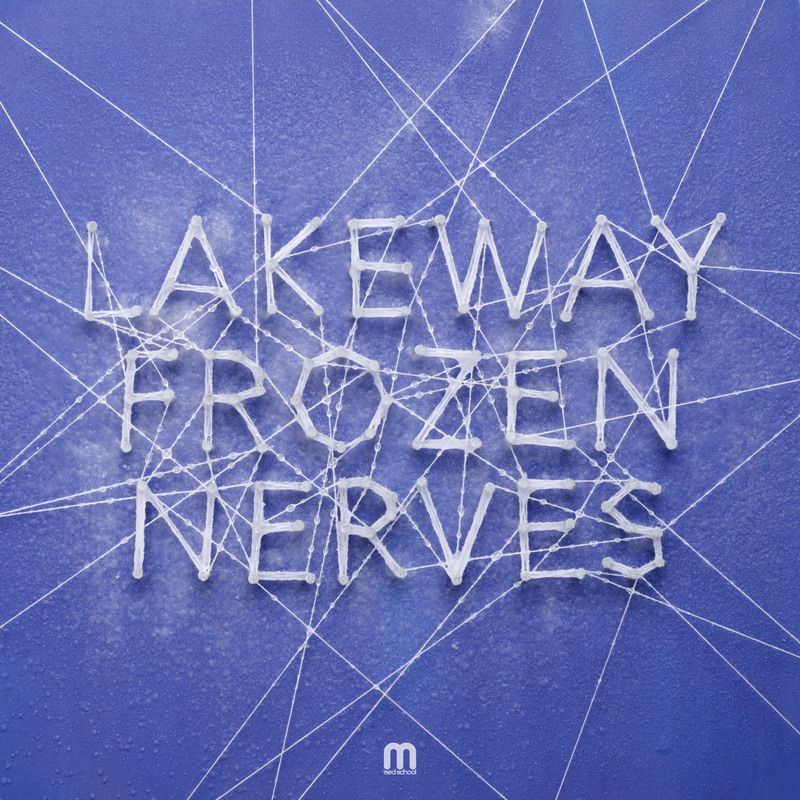 It’s the debut single for a new signing to Med School Music – a chap called Lakeway. Aside from the title, I was kind of given carte blanche with the direction for this project, so I ended up creating some artwork intended to feel ‘connected’ like nerves, which I then physically froze. I made it by hammering some carefully-placed nails into a surface I painted, then winding cotton thread between the nails (it’s all one continuous piece again!) to form the letters. I was happy with the design at that point, but it needed to represent the frozen part of the title too, so (obviously?) I put the whole thing in my kitchen’s freezer. I sprayed it with water at intervals until the ice had built up enough around the cotton threads for the lettering to solidify satisfactorially. It hung out with the frozen peas for a couple of days while we got final approval, then for a little something extra, I timelapsed the ice melting away from it again and reversed the result, so it was becoming frozen again. Harry at Hospital Records then swept in and edited the timelapse into some nice motion graphics to accompany the track uploads to YouTube. It’s nice to have a bit of ice-cold artwork for this long hot summer we’ve been having in Britain!